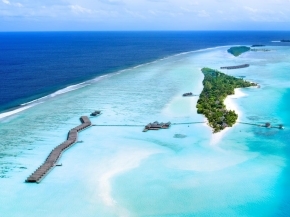 Choice of 3 nights accommodation with daily buffet breakfast at RIVELI restaurant. Return airport/hotel/airport transfers by Speed Boat. * Bonus free night is subjected to bed tax of S$15 per person. Booking and ticketing must be completed by 27Dec’13 or airline’s stipulated deadline, whichever is earlier. Bonus free night stay must be consecutive. Booking Code: "Bonus NIght offer & Family Plan"
* Surcharge of S$10 per person (Adult/child) PER sector is applicable for flight departing Singapore on Friday & Saturday AND returning from Male on Sunday & Monday. All guests with accompanying child/children below the age of 12 years old shall undertake to complete the Liability Disclaimer Form upon check in at the resort. All other prevailing terms and conditions at the resort shall apply to the guests during their stay. Standard check in time of the resort is 1400hrs and check out time of the resort is 1100rs. 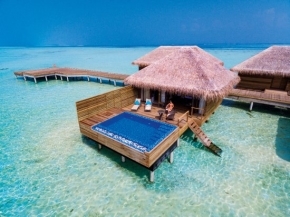 The resort allow late check-out subject to the room availability and the following charges shall apply : Room used from 1100 hrs - 1800 hrs, 50% of the room rate (Prepaid bookings) / 50% of the Best Available Rate (On arrival on guest request). And room used beyond 1800 hrs, 100% of the room rate (Prepaid bookings) / 100% of the Best Available Rate (On arrival on guest request). Due to extreme weather conditions, transfer may not always be available at a designated time and the hotel is not liable for any compensation arising from such delays. Compulsory bed tax of S$15 per person per night is chargable for bonus free night/s.